Linda is a lifelong equestrian. She spends every possible moment with her two beloved horses, building their bond over daily rides. Because her favorite activity is so physically challenging, Linda has always cross-trained to keep her strength up. 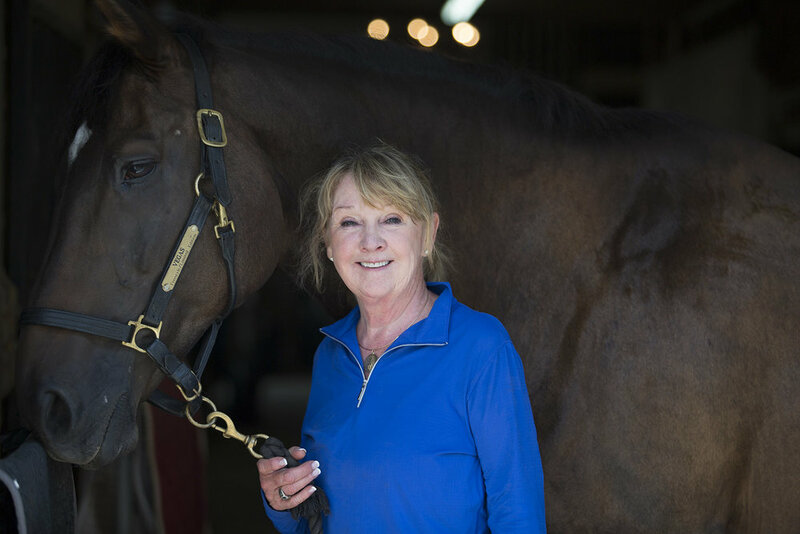 But, after a regimen of elliptical training and weightlifting that left her muscles feeling too tight, she realized that she needed to switch up her approach in order to complement the fluid movements of her horseback riding. When Linda discovered Gyrotonic at Evolve, she knew she’d found the perfect pairing for her passion. When riding, it’s crucial to have total awareness of your body as you maintain an intuitive connection with your horse. Gyrotonic, with its natural shapes and graceful gestures, helps Linda develop and maintain that awareness as she builds strength. Because Evolve’s instructors are always personalizing the client experience, Linda has also integrated some Pilates into her routine. She’s game for anything: “I just do whatever Chelsea wants me to do!” Her practice has helped her bounce back from injuries, keep her body flexible and capable as she ages, and continue her long, happy days at the barn.